This review ended up being too garrulous extensive for one blog post, so I'll post the summary first (pt 1) and then post my critical evaluation in a follow up post (pt 2). In the history of the discipline, there have been many scholars who have argued that the writing of a “New Testament theology” is not only misguided, but also impossible. For them, the diversity present within the documents making up the New Testament is much too pronounced to give a coherent account that assumes a common pursuit and a unified message. Thomas Schreiner, professor at the Southern Baptist Theological Seminary, is not of this ilk. On the contrary, his New Testament Theology: Magnifying God in Christ represents a substantial attempt at providing a comprehensive account of the theology of the New Testament as a whole. This volume represents the fruit of years of teaching at the seminary level and betrays Schreiner’s interest in the theological side of Biblical studies. His special area of expertise is in the Pauline literature, with Paul, Apostle of God’s Glory in Christ: A Pauline Theology and his commentary on Romans in the Baker Exegetical Commentary series representing the caliber of his work. 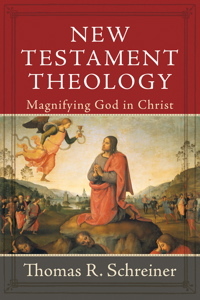 One of the vexing methodological questions someone faces when attempting to write a New Testament theology is, “How does one write a New Testament theology?” This question is significant because the way the theological content of the New Testament is presented affects a reader’s perception of the inner cohesiveness of that material. There are two broad options for ordering a work of New Testament theology. A diachronic approach treats each writing or corpus separately and then moves forward either chronologically or canonically in a book-by-book fashion (e.g., I. Howard Marshall). A synchronic approach, on the other hand, orders the discussion around a central theme or concept and then relates the various writings to that overarching framework (e.g., Donald Guthrie). These approaches are not absolute, as they overlap at a number of points. For instance, the former usually contains some thematic elements, and the latter sometimes moves systematically through sections of the New Testament. Recognizing that neither option is without its drawbacks, Schreiner attempts a version of the latter. Thus, he aims at a thematic approach that seeks to do justice to the “timeline” of salvation history. He argues that “the coherence and the unity of NT theology are explained more clearly if a NT theology is presented thematically” (10). This decision is part of his concern to produce a holistic New Testament theology rather than a series of individual New Testament theologies. From his perspective, “none of the NT writings contains the whole of what is taught in the NT” (13). Schreiner also believes that a thematic approach is particularly needed in light of the Western world’s aversion to meta-narratives. Thus, the possible reductionism inherent in a synthetic approach is “a risk worth taking” (11). Further, he “rejects the claim that there is one correct way to write a NT theology,” arguing that no work of theology will ever “do justice to the complexity and beauty of the NT” (10). Schreiner’s stated thesis is that “NT theology is God-focused, Christ-centered, and Spirit-saturated” (23). 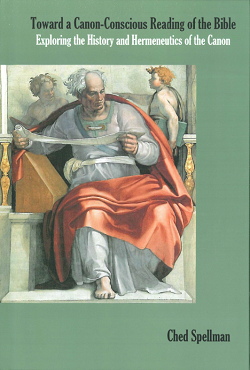 Consequently, his volume seeks to expose “the centrality of God in Christ in the concrete and specific witness of the NT as it unfolds God’s saving work in history” (23). In other words, Schreiner argues that the thrust of the New Testament demonstrates that “God will receive all the glory for his work in Christ by the Spirit as he works out his purpose in redemptive history” (23). For him, “the grounding theme of NT theology is magnifying God in Christ” (120). His goal is to demonstrate this reality inductively at the level of the individual books as well as on the level of the whole of the New Testament. In this scheme, the Old Testament represents the promise of God’s salvation. The storyline of the Old Testament concludes with a “promise of redemption” that “informs the OT story and the NT witness as well” (24). The New Testament, in turn, announces the fulfillment of God’s saving promises in Jesus, the Christ. The fulfilling of the promises of the Old Testament is a firm reality for the New Testament authors, but there is also a sense in which there are still elements of the fulfillment that are yet to come. Thus, the “already-not yet” construct is crucial for Schreiner’s framework. Indeed, Schreiner frequently renders the judgment that “here we do not have an either-or but an already-not yet” (33). In the introduction, Schreiner surveys the New Testament documents and proposes that “an inaugurated but unconsummated eschatology is pervasive in the NT” (25). This way of understanding the nature of promise and fulfillment along the timeline of salvation history is crucial for understanding Schreiner’s theological formulations throughout this volume. He argues strongly that “no one can grasp the message of the NT if redemptive history is slighted” (14). The goal of God’s plan of redemption is that “he would be magnified in Christ, so that his name would be honored” (14). With these concerns at the forefront, Schreiner divides his work into four main parts. In part one, Schreiner examines the fulfillment of God’s saving promises and emphasizes their markedly already-not yet orientation (chapters 1-3). For Schreiner, the New Testament authors convey this reality by utilizing a variety of images. For instance, the kingdom of God in the synoptic gospels and the concept of eternal life in John’s gospel demonstrate that the salvation effected by Christ has been inaugurated, but not fully consummated. The fullest consummation awaits the return of Christ and the ensuing eschaton. For the rest of the New Testament, Schreiner argues that “in every case we find that God has begun to fulfill his saving promises in Jesus Christ, and yet believers still await the completion of what God has promised” (116). Though the divine drama is in progress, the “final curtain has yet to come down on the last act” (116). Thus, followers of Christ are called upon “to believe, obey, and endure in the interval” (111). They are “a new creation in an old world” (32). In part two, Schreiner shifts focus to “the God of the Promise,” which entails the saving work of the Father, Son, and Spirit (chapters 4-13). In this Trinitarian structure, Christology is the most prominent and receives the most extensive treatment. The first chapter of the section focuses on the centrality of God in the New Testament, an obvious but sometimes overlooked theme. The next eight chapters survey the person and work of Christ. Schreiner first highlights the “centrality of Christ” in the Gospels by outlining the panorama of ways the Gospel writers understand his identity. For example, Jesus is the new Moses, the coming prophet, and the true wisdom. Schreiner then explicates the diverse titles attributed to Jesus in the Gospel narratives. He is the promised Messiah, the Son of Man, the Son of God, the Great I Am, and the living Word. His sacrifice on the cross and subsequent resurrection are the basis of his saving work of redemption. Paul and the writers of the General Epistles take this “Christology worked out in narrative form” (305) and draw out its implication and significance for the churches. An extensive survey of the person and work of the Holy Spirit in the New Testament rounds out the section. In Schreiner’s view, the New Testament itself merits this Trinitarian framework in its depiction of the economy of salvation, for “in the work of the Father, Son, and Spirit our focus is directed to the God of the promise and to God’s saving work in fulfilling promises” (120). In part three, Schreiner investigates what it takes for the people of God to experience the promise, namely, believing and obeying (chapters 14-16). These topical chapters treat the response to the gospel anticipated by the New Testament authors. Schreiner first shows that “the saving work of God presupposes that human beings need to be rescued from sin” (509). Indeed, the “power and depth of sin function as the backdrop to God’s saving promises” that are displayed in the New Testament (545). In light of this grim reality, human beings are called to faith in Christ and obedience to a life of discipleship. The New Testament writers stress that “faith receives from God the salvation accomplished through Jesus Christ” (615). In this context of discipleship, the New Testament presents the role of the Law as having “both continuity and discontinuity with the OT” (617). Recognizing the controversial nature of the discussion, Schreiner argues that the New Testament writers, Paul in particular, “consistently teach that the Mosaic covenant is no longer in force for believers” (672). They also teach that the law pointed to Christ and is fulfilled by him. Thus, the “norms of the law are related to Jesus Christ,” so that the law must be interpreted “in terms of salvation history.” The “law of Christ” that is now in effect in the New Covenant is a “law of love” that anticipates the age to come. In other words, the law is “realized only through the saving work of Christ and the empowerment of the Holy Spirit” (672). Finally, in part four, Schreiner examines the people of the promise and adumbrates the future of the promise (chapters 17-19). Schreiner argues that “we see in the NT how in the church of Jesus Christ God fulfilled the promise made to Abraham” (675). Thus, the “true Israel consists not of ethnic Jews but rather of those who confess Jesus Christ as Savior and Lord” (753). This set-up fits Schreiner’s thesis, because the purpose of the church is to glorify Christ by the Spirit through the practice of baptism and the Lord’s Supper. These practices represent and demonstrate that the church is a people of the promise that finds its fulfillment in Jesus. Though believers have put their hope in a coming age of consummation, they must still exist as God’s people in the meantime. Accordingly, Schreiner also examines various issues present in the social world of the New Testament. These include the topics of riches and poverty, the role of women, marriage and divorce, the role of government, and the issue of slavery. All of these issues demonstrate that believers must maintain an “eschatological perspective on the reality of everyday life” (801). Schreiner’s final chapter outlines the consummation of God’s promises, the reality on which his whole theology moves toward. The New Testament demonstrates that “the coming of Jesus, the future salvation and reward of his people, and the final judgment are closely linked” (802). For Schreiner, the New Testament discussions of eschatology point to the time when the already-not yet distinction will no longer be necessary. On that day, God’s promises will be ultimately and unmistakably consummated. Schreiner ends the volume with a brief appendix reflecting on the discipline of New Testament theology. Starting with Johann Gabler and Krister Stendahl (867-71), Schreiner surveys the history of the discipline and presents “some soundings of particular persons or movements that will provide some background to the task of NT theology” (872). He traces the rise and fall of the historical-critical paradigm, the influence of the biblical theology movement, and the various themes that scholars have put forth as the center of New Testament theology. Schreiner also examines the relationship between biblical and systematic theology. He explains that “systematic theology has an atemporal focus, whereas biblical theology emphasizes the biblical timeline, the development of redemptive history” (882). Though he sees them as complementary, Schreiner argues that “the two disciplines should not be fused together, and the distinctions between biblical and systematic theology need to be maintained” (883). He concludes that “the inductive work of biblical theology should be the basis of all systematic theology” and that “biblical theology will have the greatest impact on systematics if it encompasses the whole Bible” (884). Thus, Schreiner seeks to position his New Testament theology within the larger program of a “whole Bible” biblical theology (884).